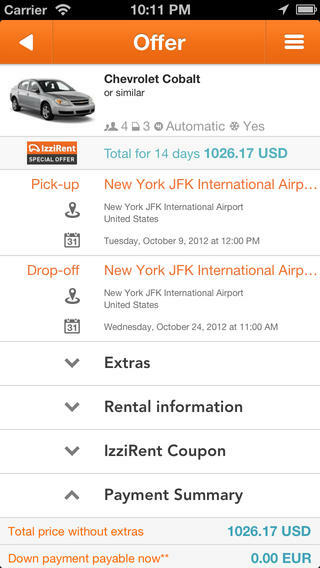 IzziRent Car Rental iOS App Review: Compare Car Rentals On Your iPhone! Taking cars on rental is not easy, when you travel across the globe frequently. 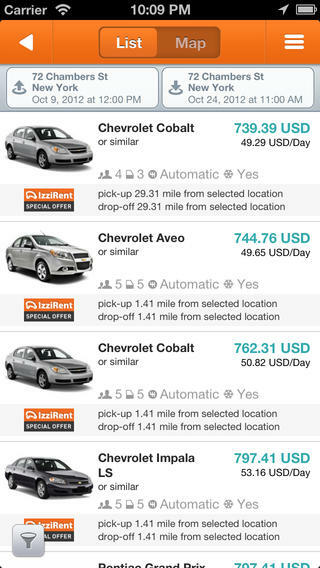 To simplify the time-consuming and complex hiring techniques, there is a great app on iTunes market called – IzziRent Car Rental! This app helps you browse through cars available on rental across all the major rental services like – Sixt, Enterprise, Europcar, Alamo, Avis, Hertz, Budget, Dollar, Thrifty & hundreds of other local dealers. 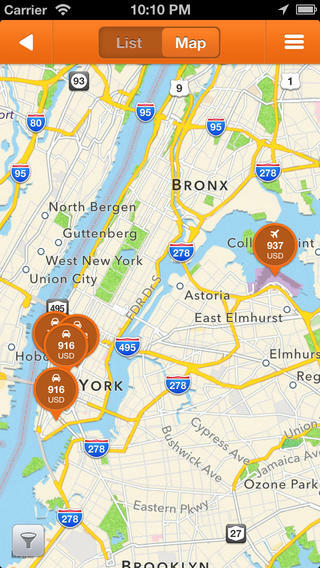 You can compare the rental costs and save big on your overall travel plan using this IzziRent app on your iPhone. Not just locally this app lets you browse through 30,000+ locations worldwide including popular countries like – US, UK, Italy, France, Spain, Greece, Turkey, Croatia, Germany, Netherlands, Switzerland, Austria, Russia, Jordan and UAE. User can browse through car types, prices and pick-up and drop-off locations available nearby and puts a summary of all information when you shortlist the rental services. The app lets you find discounts available for your trip and avail promotional coupons & daily deals, to sweeten the most of your purchases through the app. 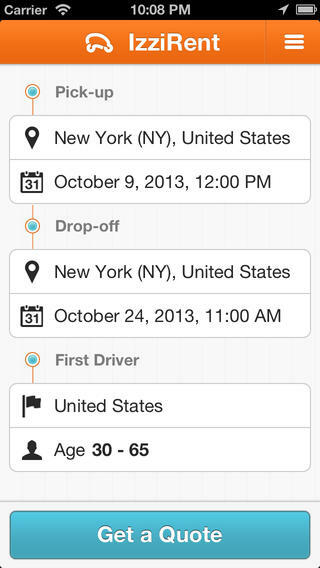 You can also do last-minute reservations with instant confirmation using IzziRent. Developers are using most secured 3-step booking and payment engine encrypted by VeriSign, to make sure your payments go through safest possible channel online. IzziRent is available in 9 languages already and most comprehensive app for car rental online. The interface is very fresh looking and easy to use, and you can even browse car rental services using maps as shown in above image. The overall experience is very fluid on IzziRent, and I would highly recommend this app for everyone who frequently hire cars. Wonder Polls iOS App Review: Participate And Create Polls On Your iPhone! iPad 2 Set To Launch In India At First Week of May ? iOS App Store The Safest? – Not Anymore!